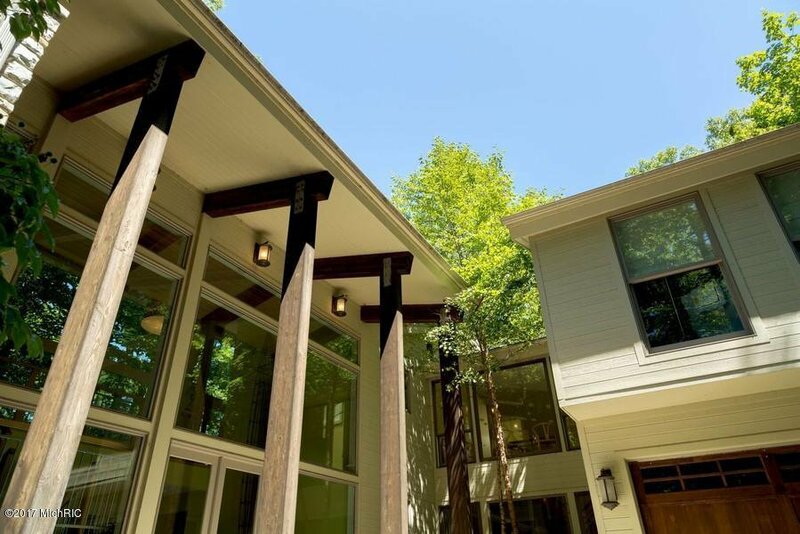 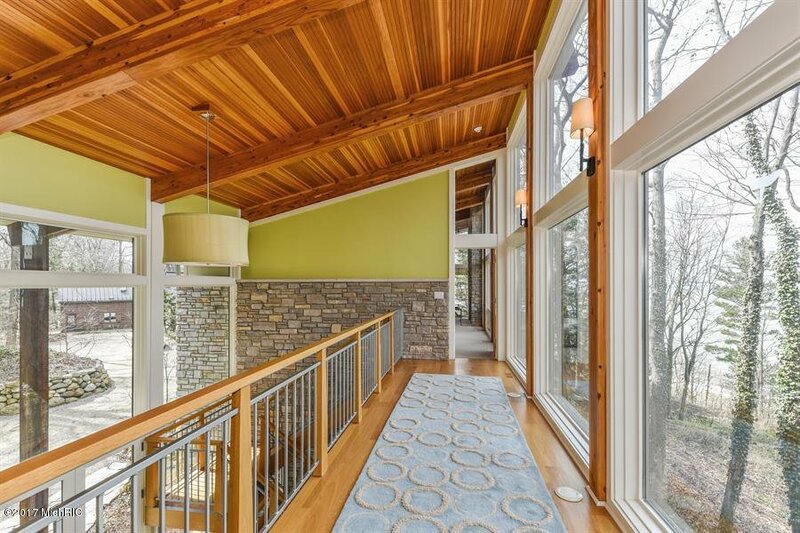 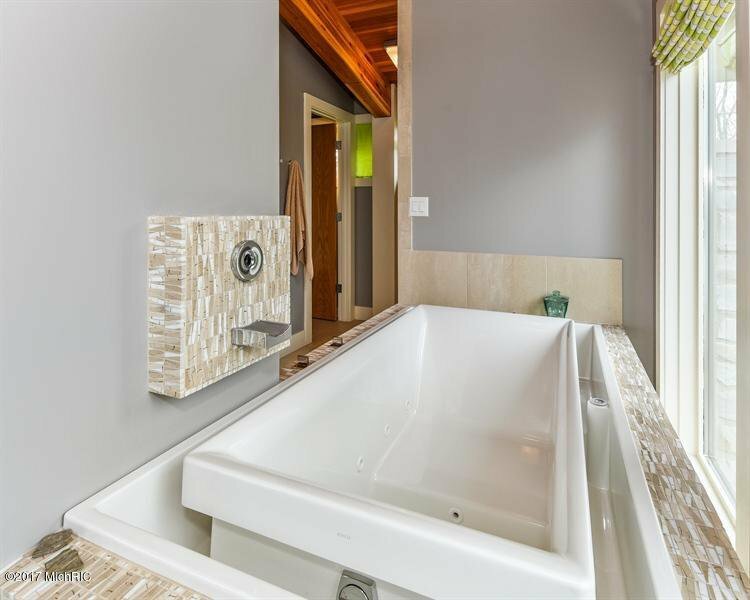 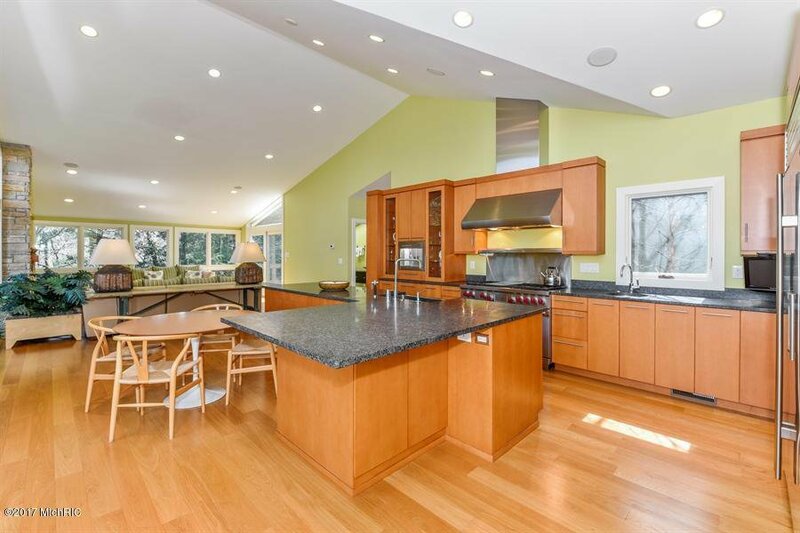 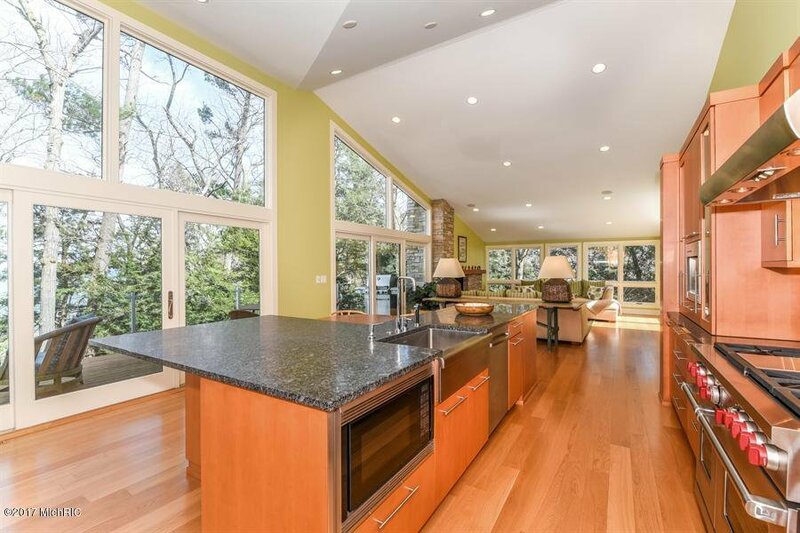 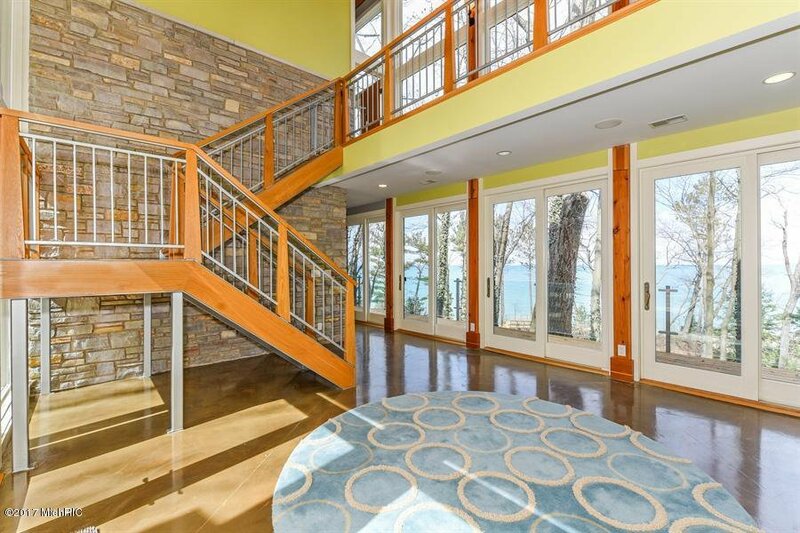 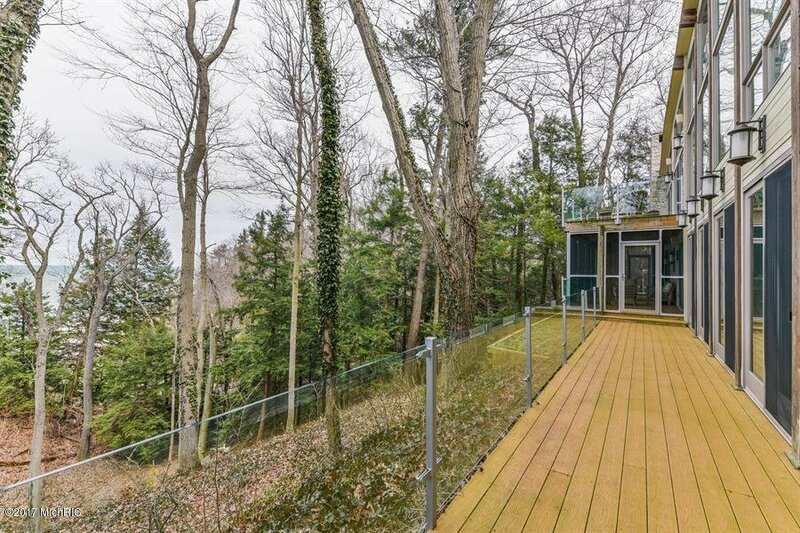 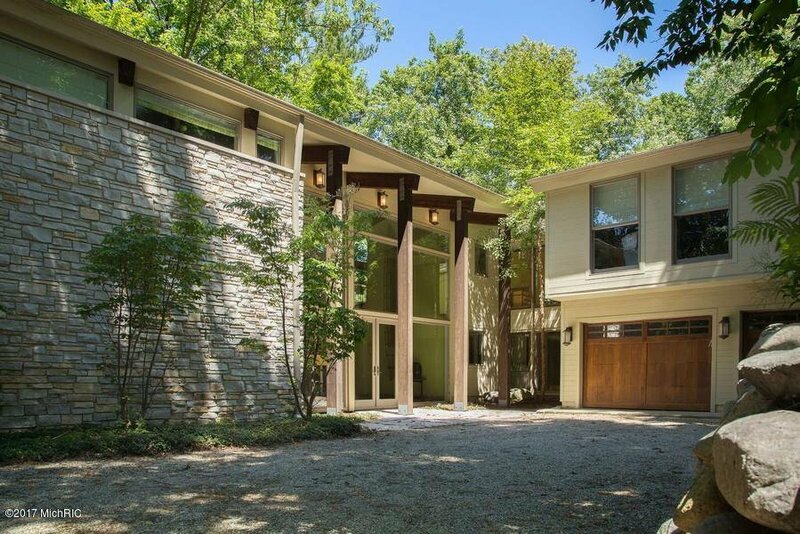 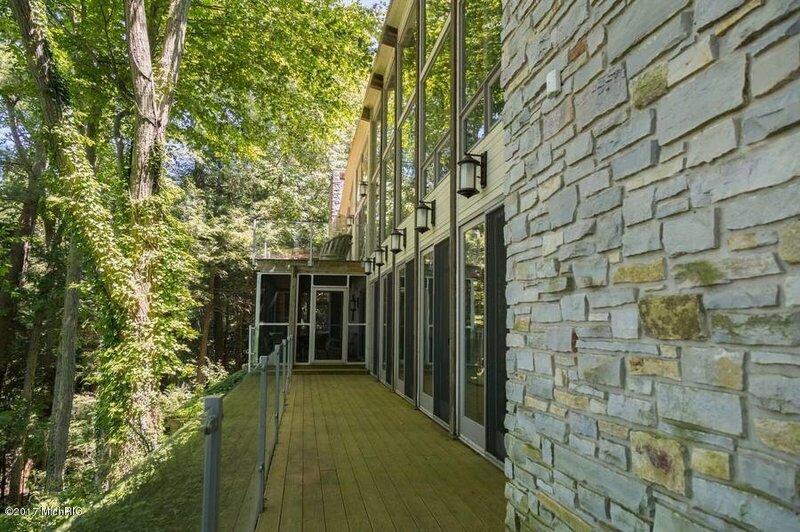 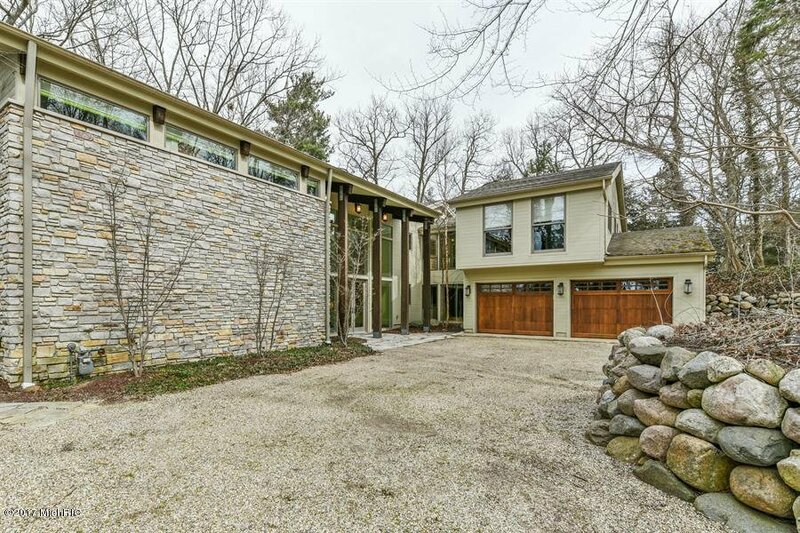 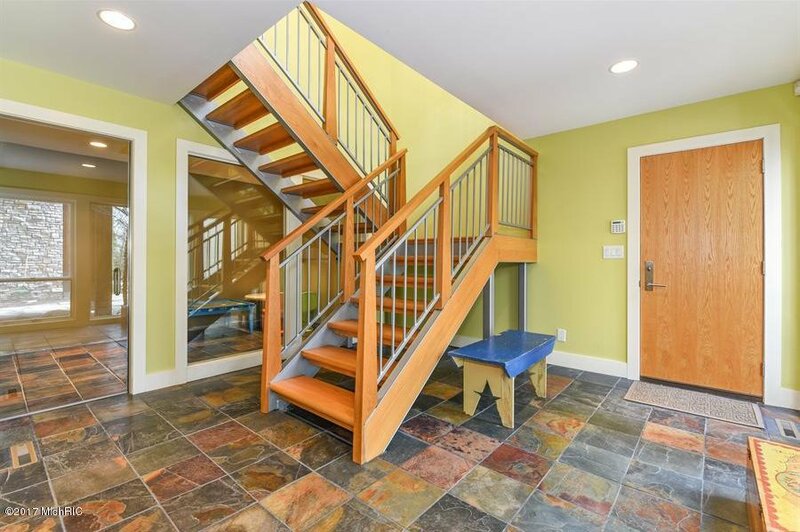 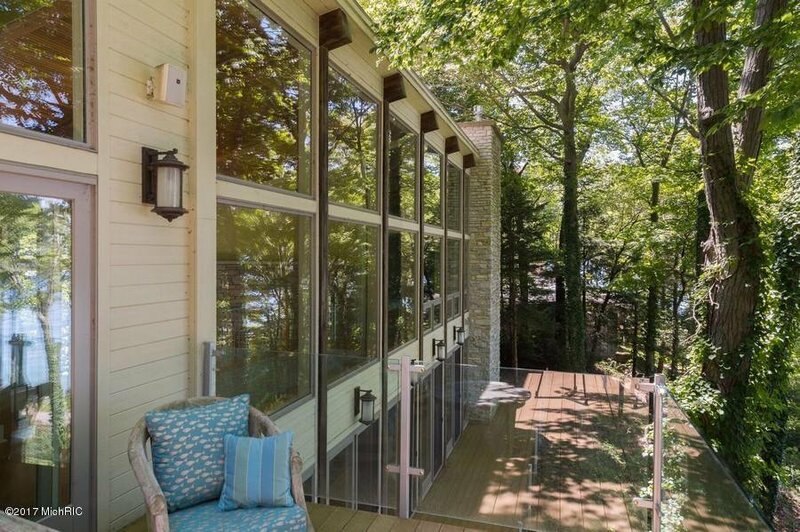 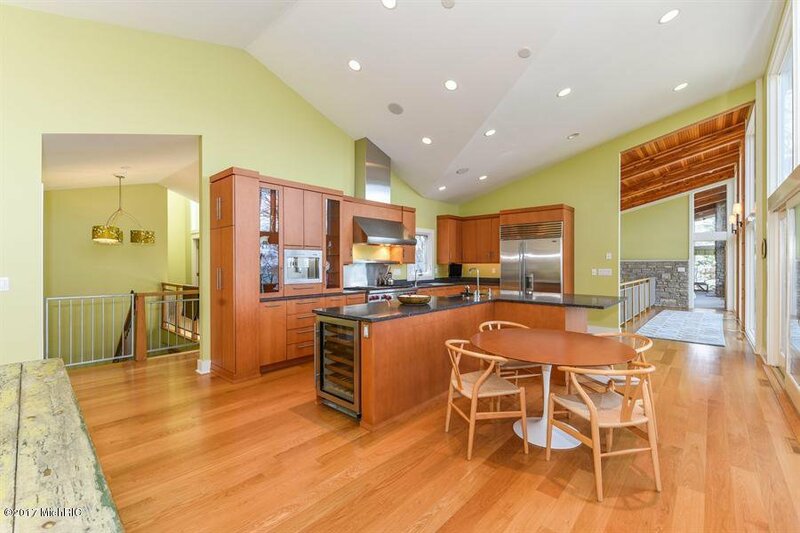 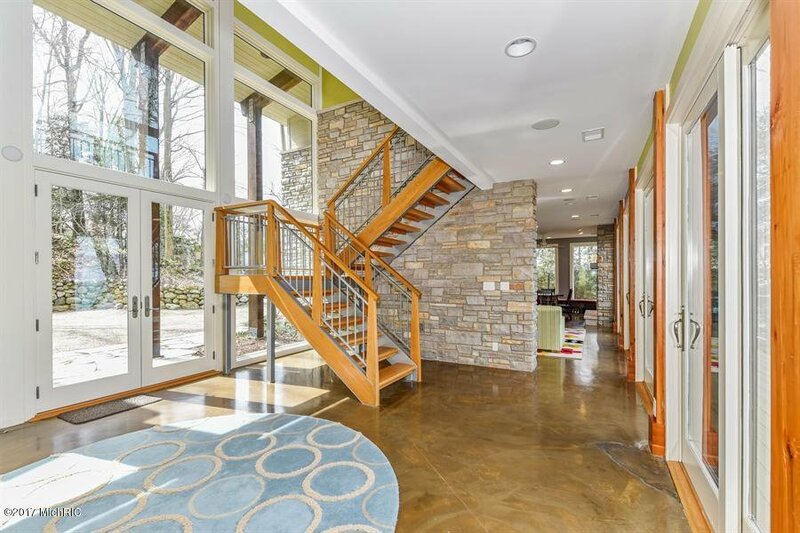 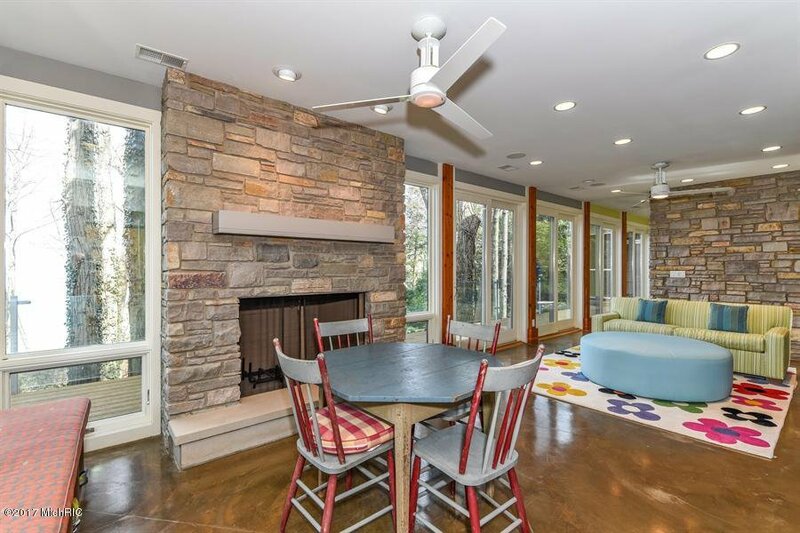 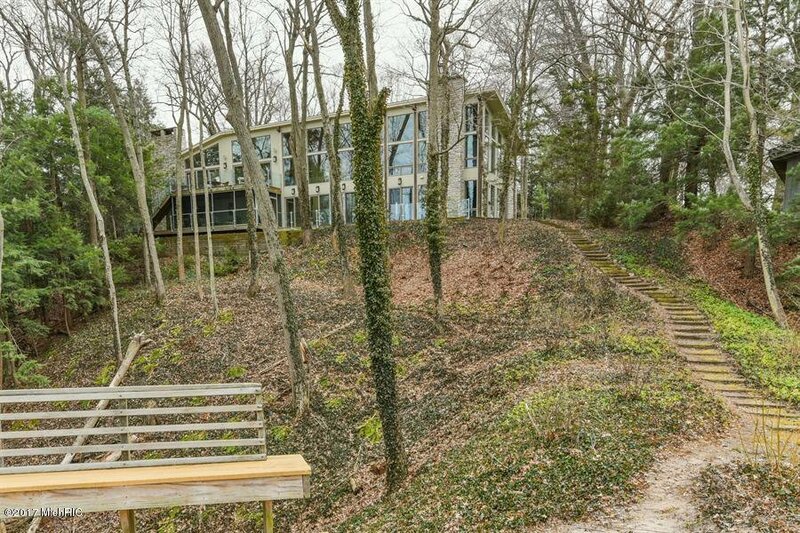 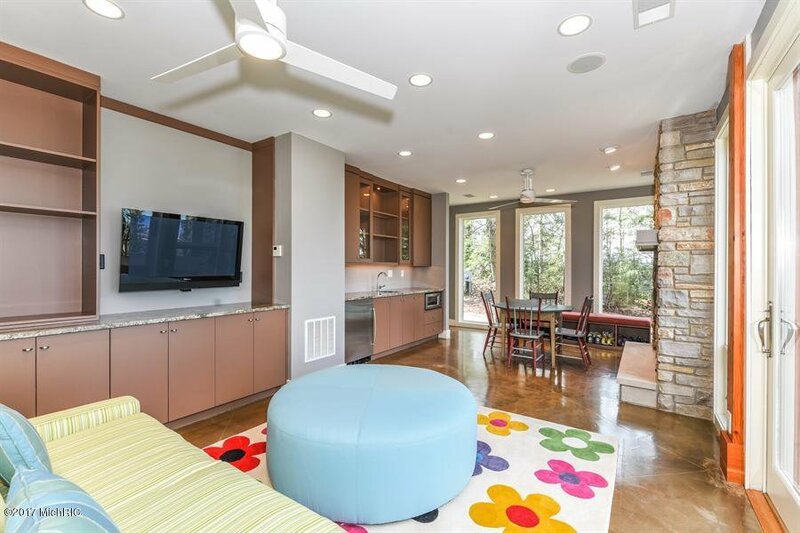 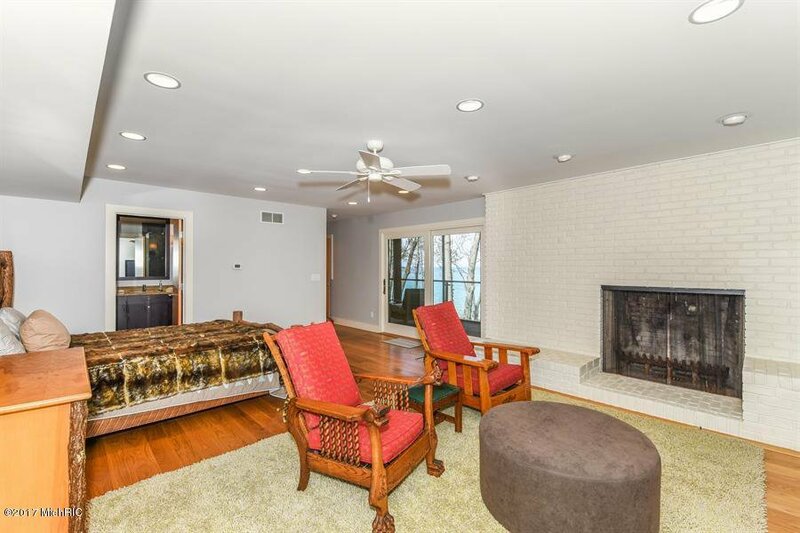 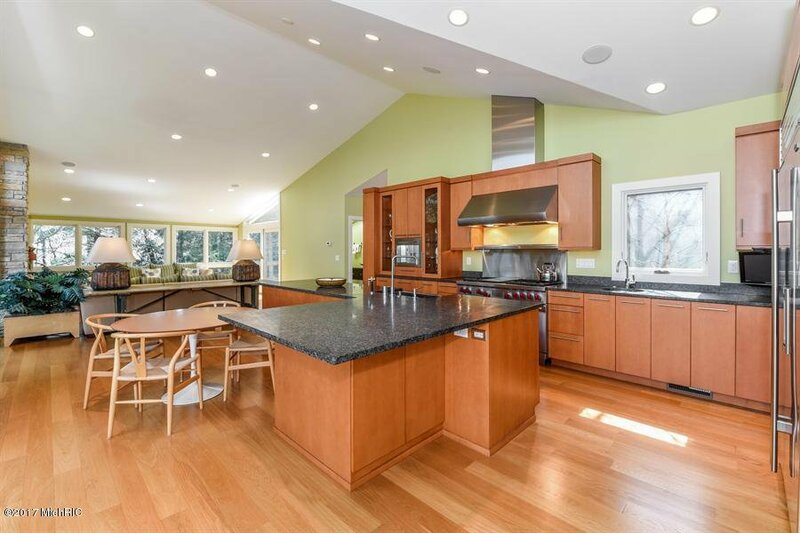 Stunning contemporary home on 208' of Lake Michigan frontage. 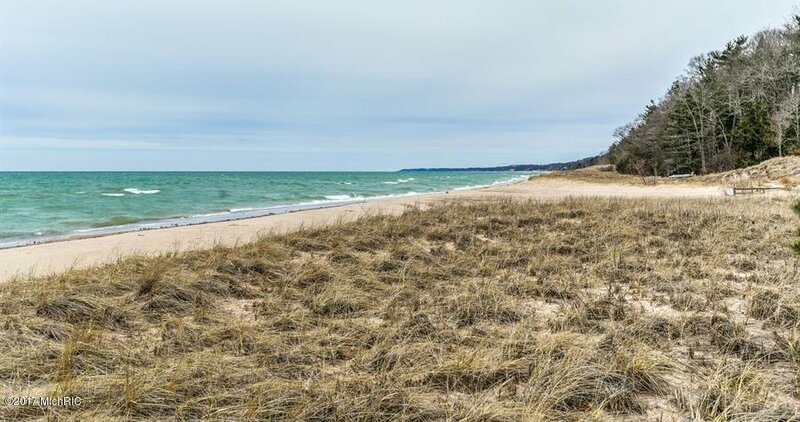 Magnificent huge sandy beach. 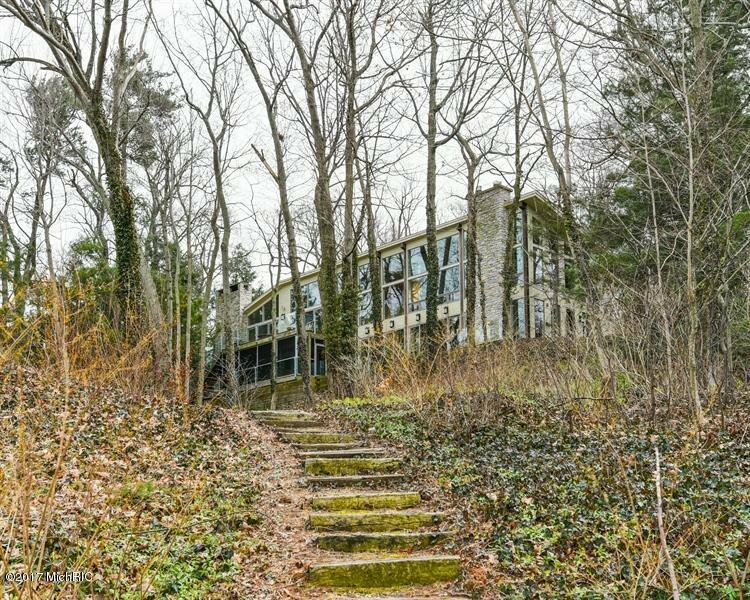 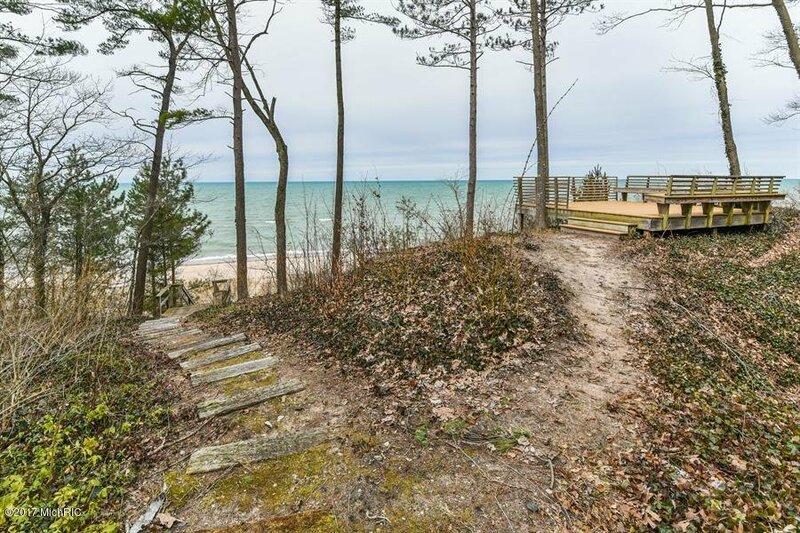 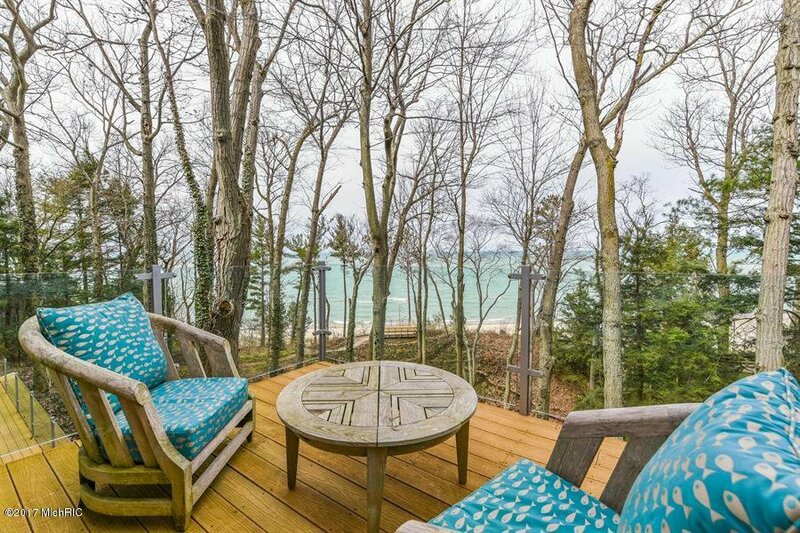 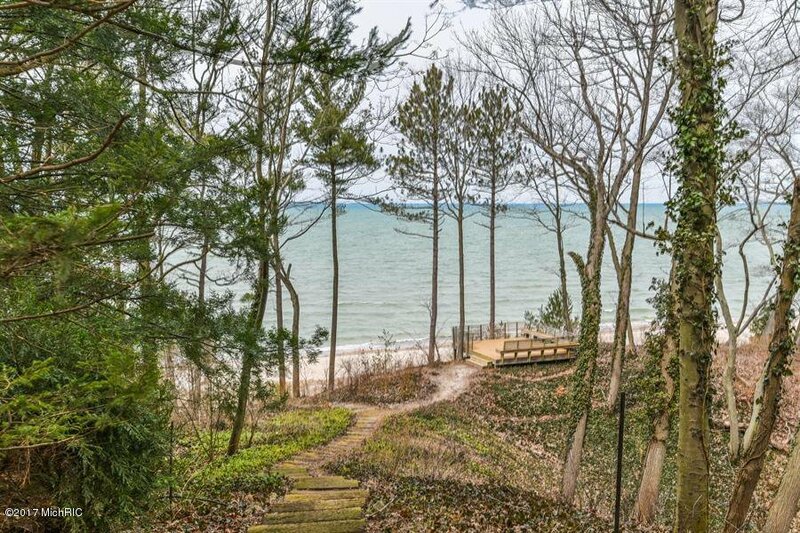 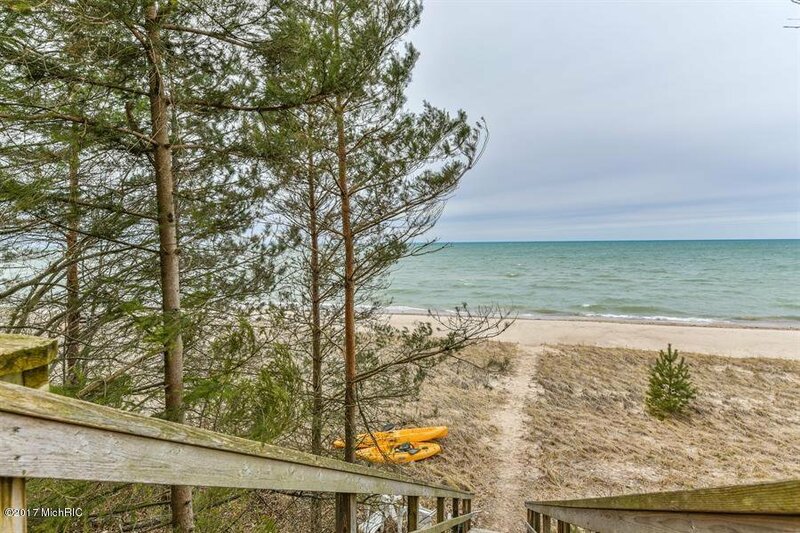 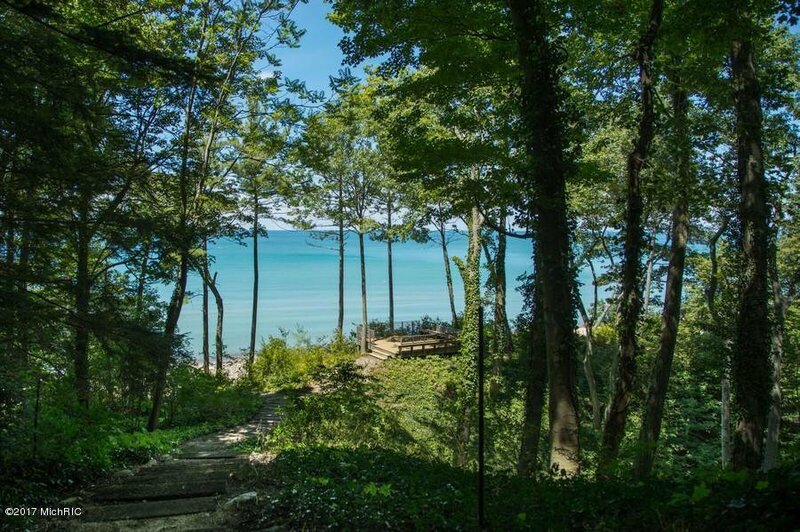 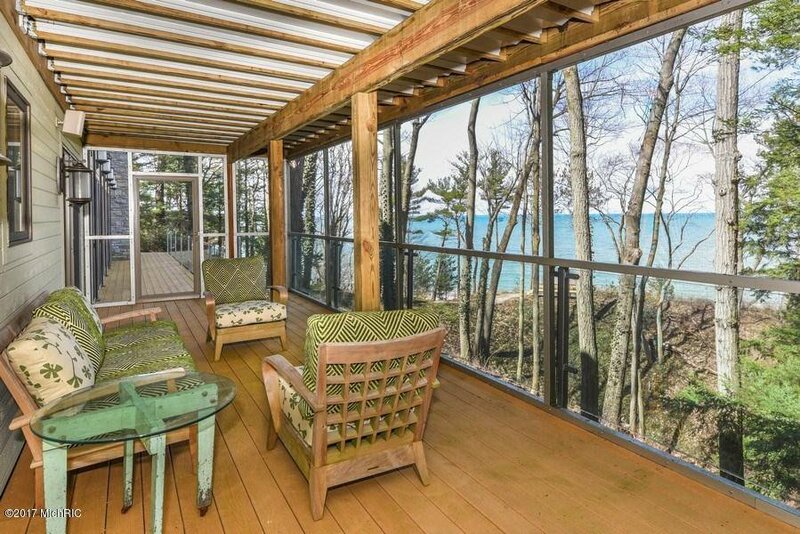 This lakefront home is situated on a dune with picturesque ravine and 83' of floor-to-ceiling windows all with sweeping Lake Michigan views! 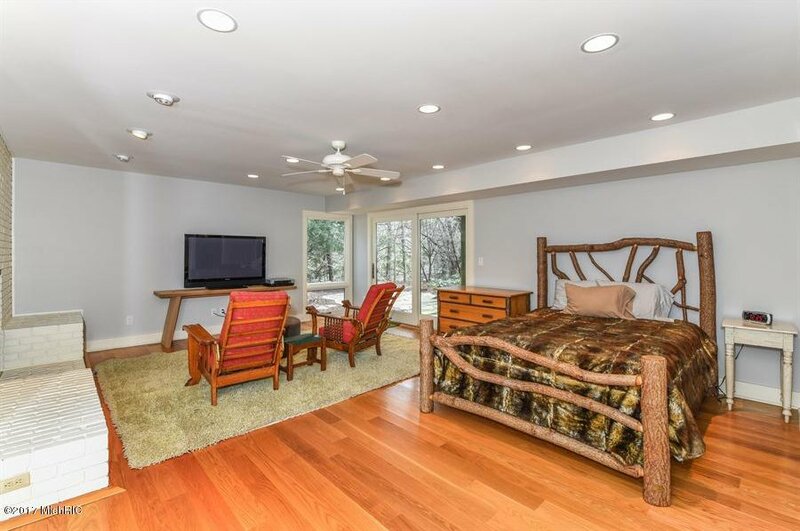 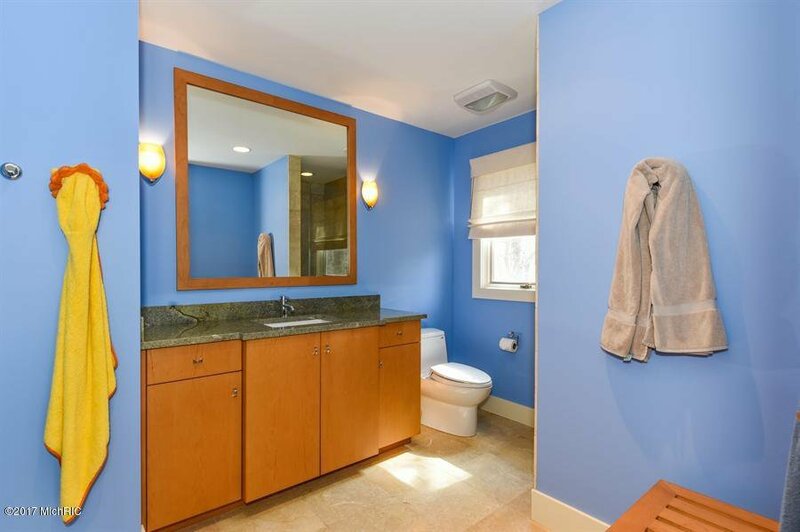 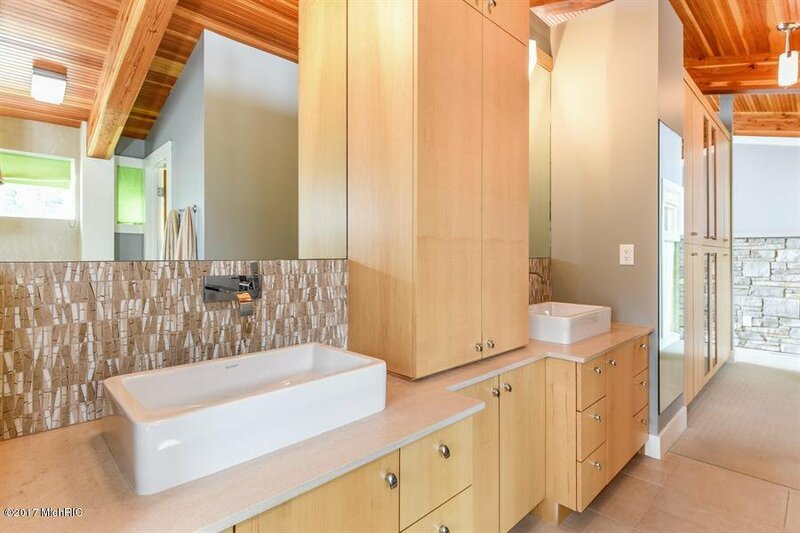 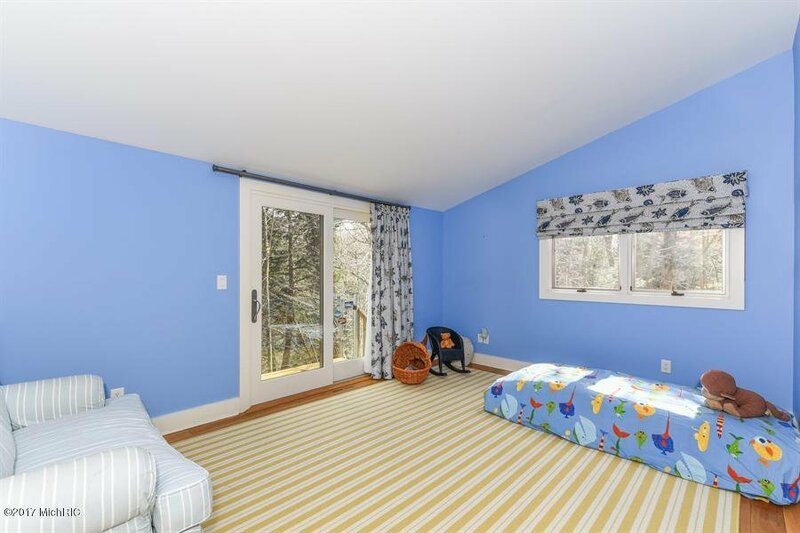 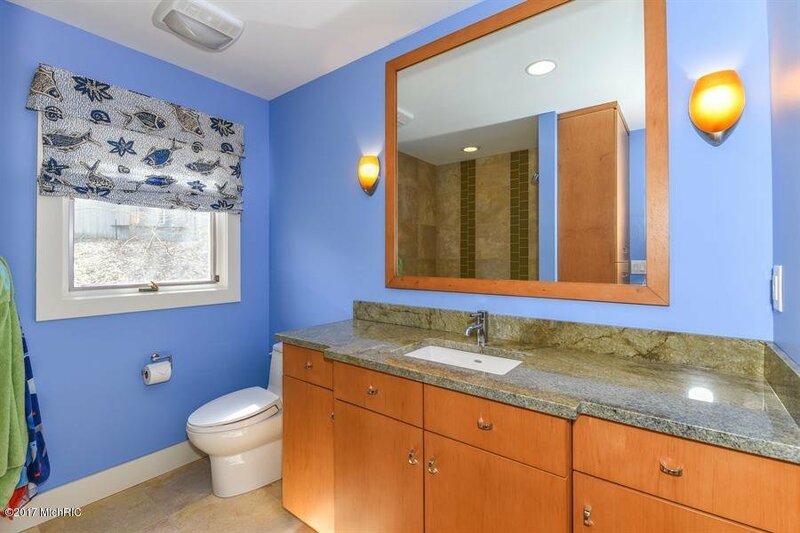 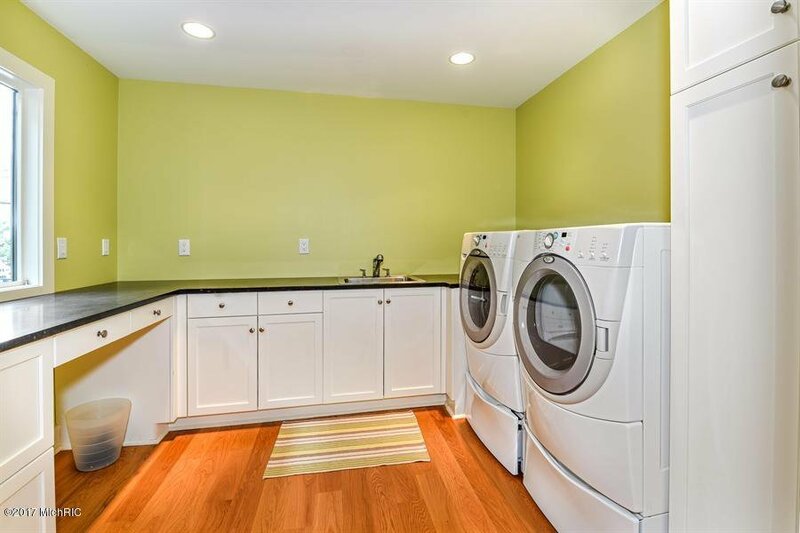 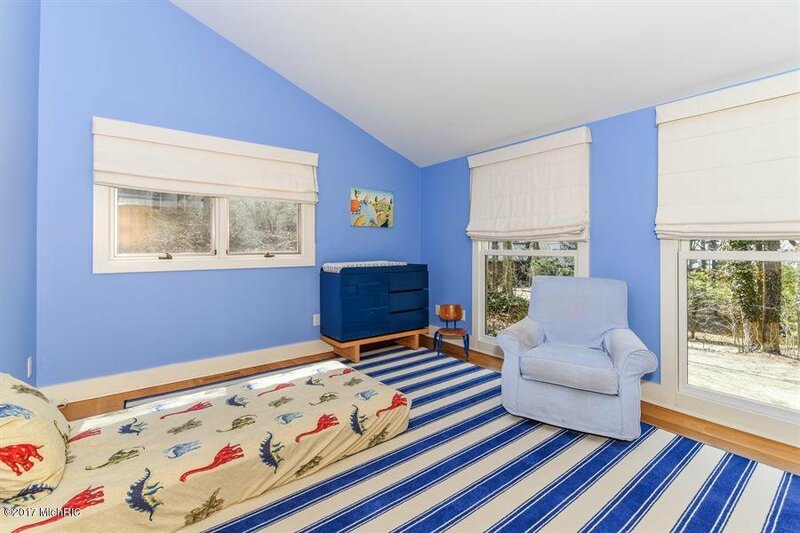 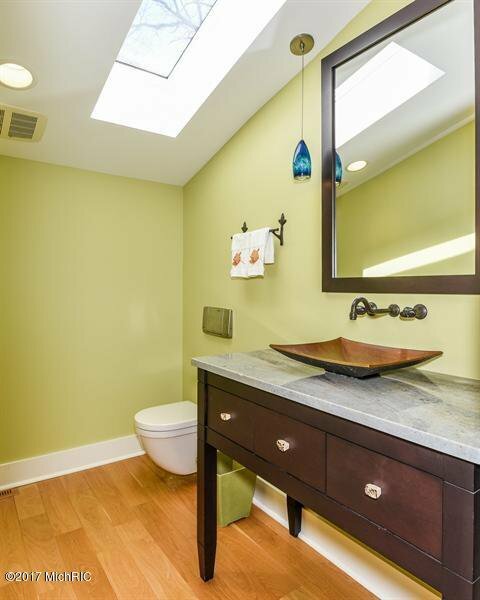 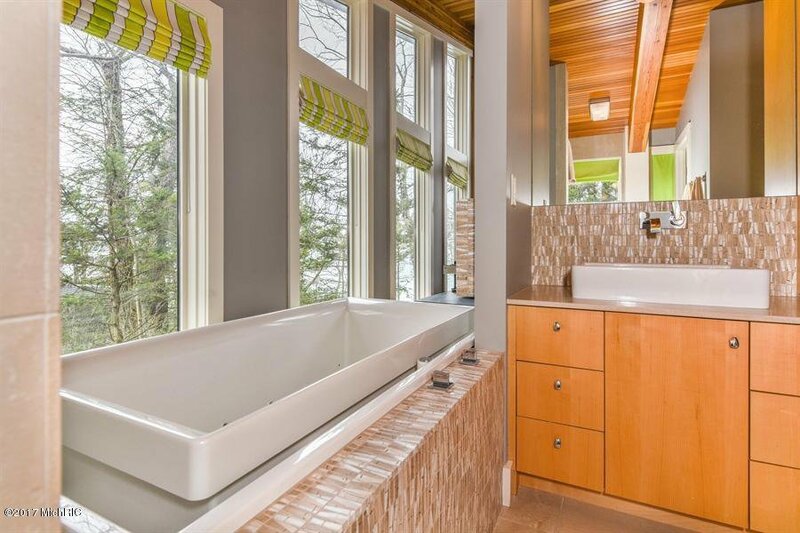 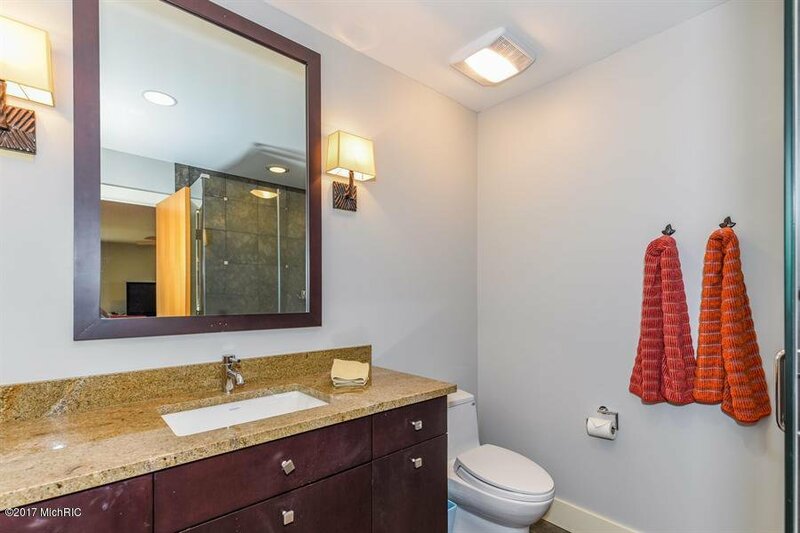 Situated on 2.48 acres this home features 4 guest suites all with private baths. 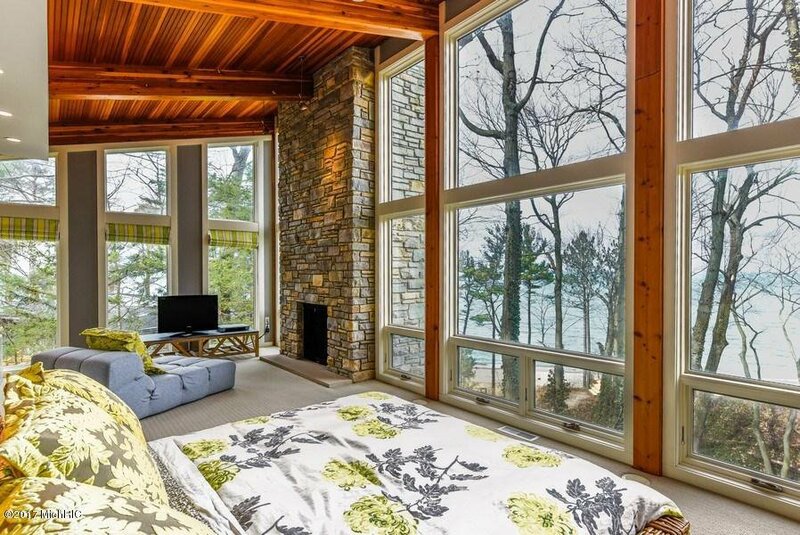 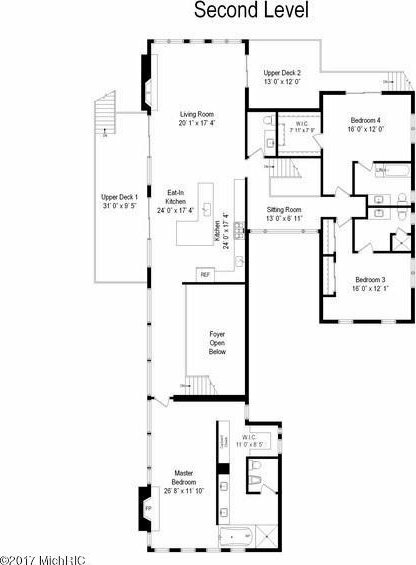 Master bedroom suite with fireplace, huge dressing room, walk-in steam shower, whirlpool tub and dramatic views of Lake Michigan. 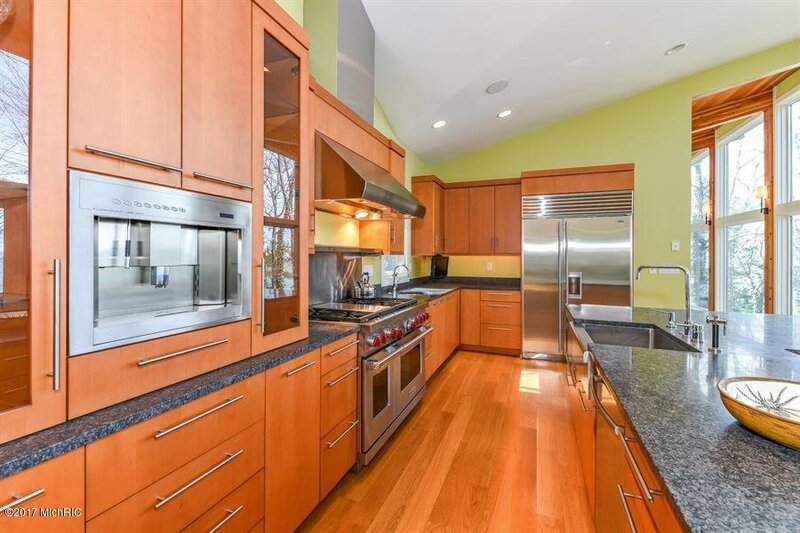 A chef's kitchen featuring Wolf 6 burner stove with griddle, Bosch dishwasher, Subzero refrigerator, wine cooler and breakfast bar with built in expresso machine. 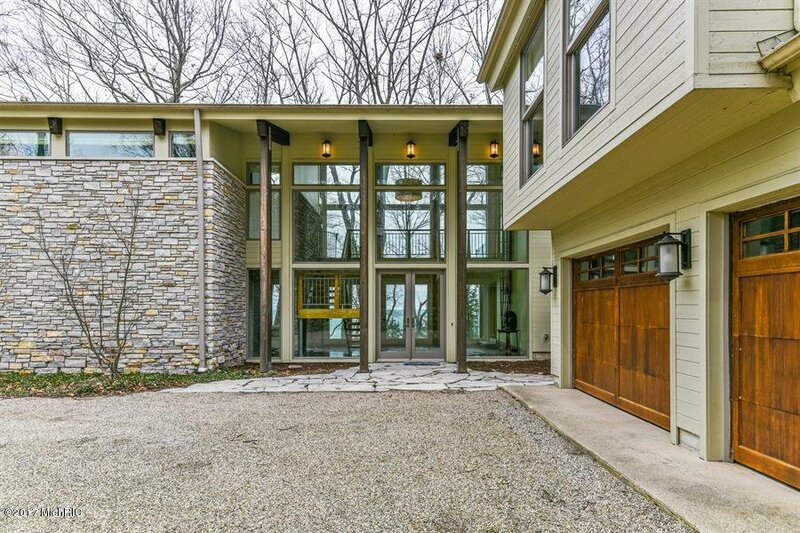 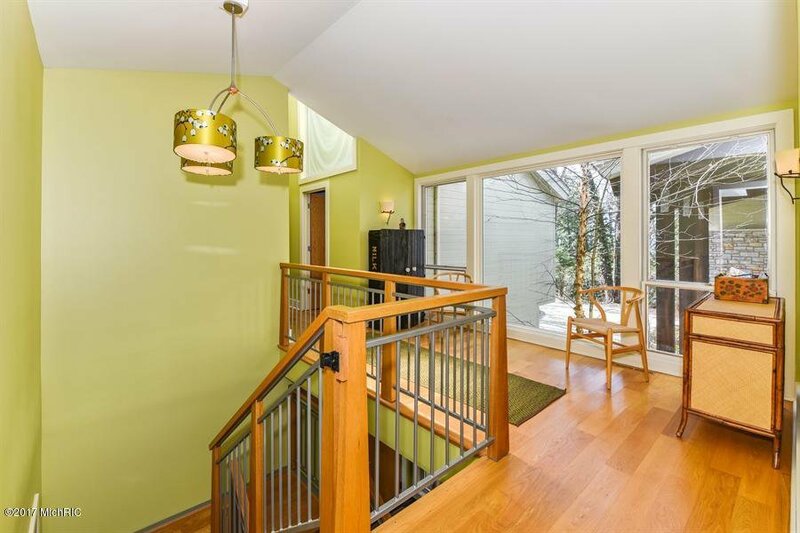 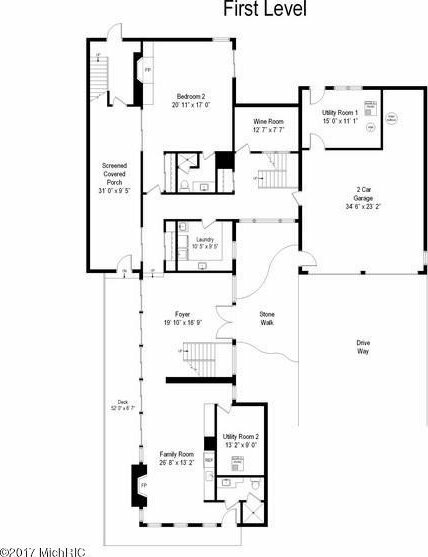 Amenities include radiant heated floors, wine room, 2 story foyer, heated garage, 4 fireplaces, lakefront screened porch and a 52' deck. 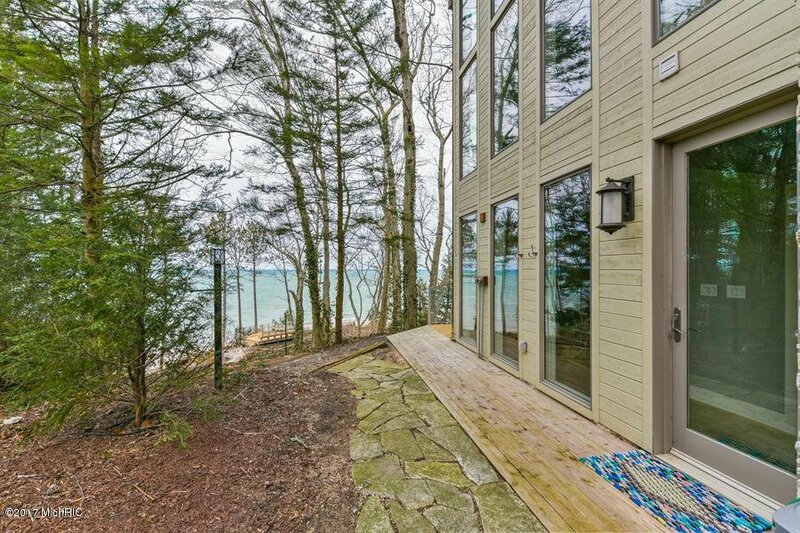 This is truly lakefront living at it's very best! 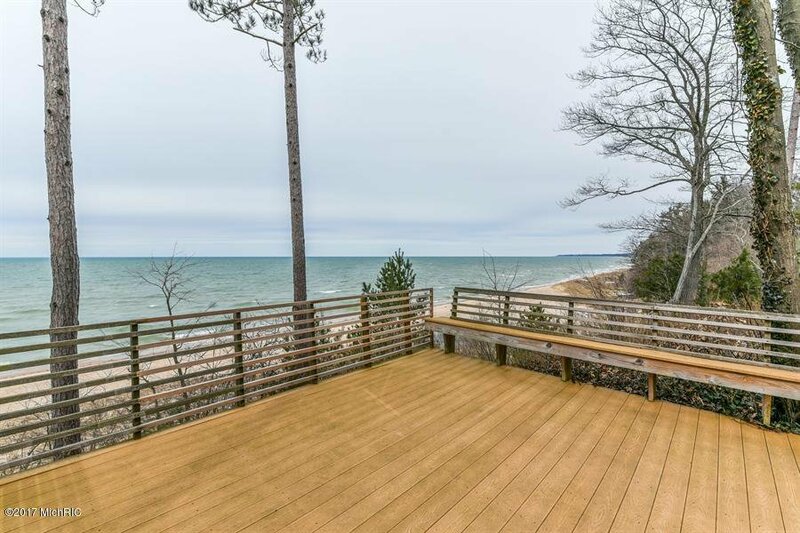 Selling Agent: Dan R Brake Selling Office: @properties Michigan.